and children living in food deprived households. The Manatee County School Board, the school Administrators and the teachers have identified over 2,000 children between the ages of 5 and 12 years of age, who are homeless or living in food deprived homes. 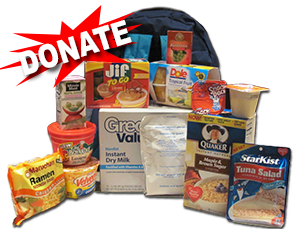 The food that we purchase, or is donated through food drives, is non-perishable, child friendly, packed in backpacks and delivered to the elementary school where they attend. Some of these kids reside in the back of cars, in group homes, and motels. All monies obtained through grants, philanthropy, benefits, and donations go to purchasing food, as Elks. 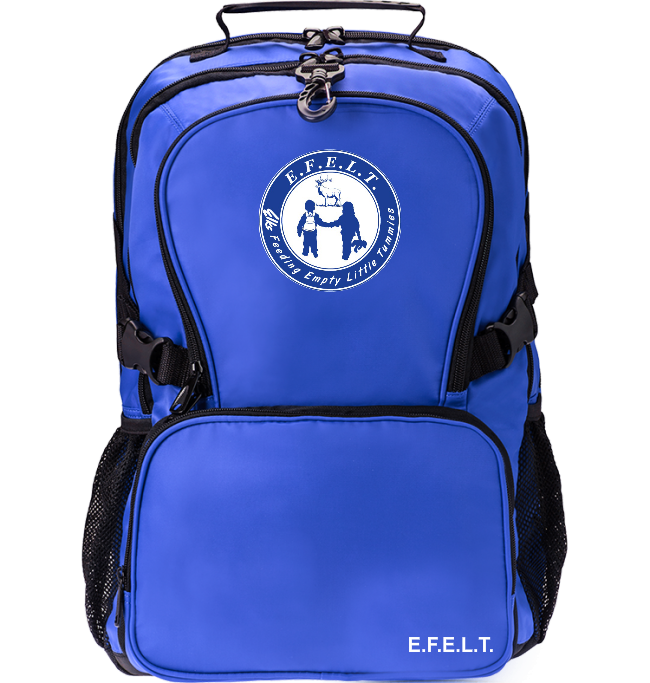 Since our inception in 2010, every Friday, during the school year, Elks Feeding Empty Little Tummies, Inc. provides six meals, snacks, drinks, bread and other non-perishable foods to homeless children and children living in food deprived households. Dry Milk in Individual Packets. Small Mac n' Cheese Cups. 5-7 Oz (Small Only) Can of Vegetables. Photos & graphics are the property of various owners. Permission information available upon request.